Congratulations you’ve worked hard been through multiple interviews and finally, your hard work has paid off! You’ve been matched and you’re getting ready for residency. It’s so exciting to jump into residency and see what having this career will really be like. You’ll have the ability to learn from experienced professionals in your field of interest. Getting yourself prepared for your residency can feel stressful, but it doesn’t need to be. Here are some financial tips to help you get settled and make good choices for your future. Once you are done with school, you should start paying on student loans. Residency can take several years to complete. It’s likely that your residency isn’t paying you what a full-time position in your career will so all the medical school debt that’s accumulated, can be difficult to sort through. If you find yourself with a large amount of federal student loan debt, look into income-based repayment plans. We would recommend this as a temporary solution until you’ve completed your residency program. This will assure that you’re making student loan payments towards your medical school debt, but that those payments are not impossible to complete. You may eventually qualify for public loan forgiveness on your federal student loans. If you qualify to get on an IBR plan in residency after completing the program you may only have a few years remaining. If you also have private student loans there is no need to worry. Most private student loan lenders will work with you to offer some type of payment plan. You may want to consider refinancing your medical student loan debt. In order to qualify for student loan refinancing, you may need to add a cosigner due to income you’ll be making in your residency. Regardless of which route you chose, in the first few months after graduation, you’ll want to have your payment plan set up. Don’t let this task fall off your radar—in-school deferment ends shortly after graduation for most kinds of medical school debt. The average income for first-year medical residents is about $55,000, according to a recent report. That money may not go very far with your loan payments and other living expenses. It’s crucial to set your budget and stick to it. Many medical professionals suggest living with roommates, carpooling, using public transit, and setting a budget to keep other spending at a minimum. If you’re starting off pretty frugal until you get accustomed to your new budget, that doesn’t mean you shouldn’t think about saving for the future. When it comes to saving for retirement, the sooner the better. Employer matches and retirement programs should be on your list of things to do early in your residency. Take advantage of match money for retirement if your employer offers it. Match money from your employer is free money! Don’t miss out on that opportunity, and check out the rest of your benefits while you’re at it. There are usually several perks and programs you can look into that might help make your transition to residency more comfortable. Speaking of housing arrangements, there is conflicting advice on whether or not it makes sense to buy a home vs. renting while in residency. Since most residents spend long hours working and don’t have time for household maintenance or upkeep, buying a home can be a difficult choice. Plus knowing that you might not choose to live in the same place long term cause many experts to advise renting. Look at your unique situation and make sure you’re weighing all of these factors when you decide what to do for housing. As far as finding somewhere to live, location will probably be top of your list. After working long hours and several days in a row, having a long commute is the last thing you want. If the area near your work is not cost-effective, look for ways to get connected with a good roommate or two. Research the area before you relocate and stick to your budget for housing costs so that you don’t end up being rent-poor or house-poor. Residency can be engrossing. You’re so involved in your work role and in living the life of a busy resident, that it’s not uncommon to let self-care fall by the wayside. Remember, you can’t care for others if you haven’t cared for yourself. Make sure you’re doing what you can to stick to healthy habits, even if there are days you’re low on sleep or not making the best food choices. Getting rest on your time off, enjoying your hobbies even in small doses, and exercising or meal planning can help make sure you’re cared for even with a busy schedule. Enjoy your new life adventure! NOTICE: Third Party Web Sites Education Loan Finance by SouthEast Bank is not responsible for and has no control over the subject matter, content, information, or graphics of the websites that have links here. The portal and news features are being provided by an outside source – The bank is not responsible for the content. Please contact us with any concerns or comments. No one wants to get scammed, but it can be hard to feel confident about whether you’re working with a reputable source or not. In an era when we have access to so many different options and there are countless financial entities available at our fingertips, there are definitely some things to keep in mind so that you don’t end up getting a raw deal. It’s not uncommon if you’re interested in student loan refinancing, or have been approached by a company to want to see if they’re legit before you move forward. Here are some tips on how to avoid being a victim of predatory lending. It’s not uncommon to find random financing offers around the internet. Maybe you read about it on Reddit, saw a social media post, or even direct mail. Companies regularly send postcards and mailers to try to get your attention. The marketing material can look pretty convincing, too! Don’t let a slick landing page or a nice mailer fool you. You generally want to find suggestions from sources you trust, like a financial expert, or trusted online sources. A good resource would be the Better Business Bureau. You can see online complaints, information about the company, and all provided by an unbiased source. A second site that provides unbiased online reviews is Trustpilot. Websites with unbiased reviews and legitimate accreditation or backing can be an ideal source to verify credibility. It may sound extreme, but we’ve heard of examples where someone was approached by an entity that attempted to look like the government. These scare tactics are used frequently enough by scammy companies for one reason - they work. These companies use this scare tactic because when you think the government is trying to get in touch and you’re in trouble, you answer! These options work similarly to the IRS scams that are always happening with the IRS calling your phone, but in reality, the IRS doesn’t actually call anyone. If the company tried to look like a government program and later you find out they’re not, drop them. A legitimate company won’t send fake notices or use a misleading URL in order to get your business. Listen to the old adage. If it’s too good to be true, it probably is. There’s a reason that this simple advice is so often passed down. Really amazing offers are rare. If something sounds like there’s no way they could offer you such incredible terms or that great of a deal, there is likely fine print that’s missing. Fact check the offer and look for comparable data. Your alarm bells should go off if you’re looking at a company whose reputation is dubious. This especially proves true if they’re claiming to get you unheard of service or savings. There are lots of scams across all kinds of industries. One of the most common is when a person tries to get you to pay something up front with the promise of services to come. Lending is no different. If you have to pay a fee or anything before you can see the offer, chances are that this is a scam. Companies often will offer to facilitate student loan discharge for someone with a permanent disability. The process of applying for student loan discharge if you have a qualifying disability is free. Any company offering to do it for a hefty up-front fee is scamming you! Avoid anyone who is too aggressive. Sometimes a company will aggressively pursue potential borrowers and push them to select a consolidation option that’s not in the borrower’s best financial interest. They might be a legitimate company but will leave out crucial details in order to sign you up. A good general rule of thumb is to be aware of the interest rate and terms. Understand how a lower payment can extend the life of your loans, thus increasing the overall amount due. Always get all the details, so you know the financial implications of your decision. Give it a gut check. Sometimes your intuition is your best tool. If something doesn’t feel right, don’t be afraid to hit pause until you can find more information. Be wary of any company that’s asking for too much personal information before you are sure that they’re legit. Keep an eye out for things that just don’t seem right, like misspellings or a digital presence that seems fishy. You should never be faulted or made to feel bad for giving yourself time to look into the details and read everything over. If you feel like you’re being hurried through or your questions aren’t being answered stop and take a breather to do a gut check. All of your concerns should be addressed with ample information so that you feel confident about the process and decision. If that’s not what you’re experiencing, you should back away. There are lots of reputable companies out there, and it’s pretty easy to find them by reading unbiased reviews. Do your research and continue learning more about how their process will help you. Use resources available to you to vet companies before you reach out. If you utilize the resources available to you, you’ll be less likely to encounter an unreputable company on the prowl. You should never be badgered or threatened. No reputable company is going to make threats against you or repeatedly harass you to sign up. As a consumer, you have certain protections and any company that violates these should be investigated. If you’re facing this treatment from any lender, would like to see more information on various types of financial products and your rights, visit the FDIC website. 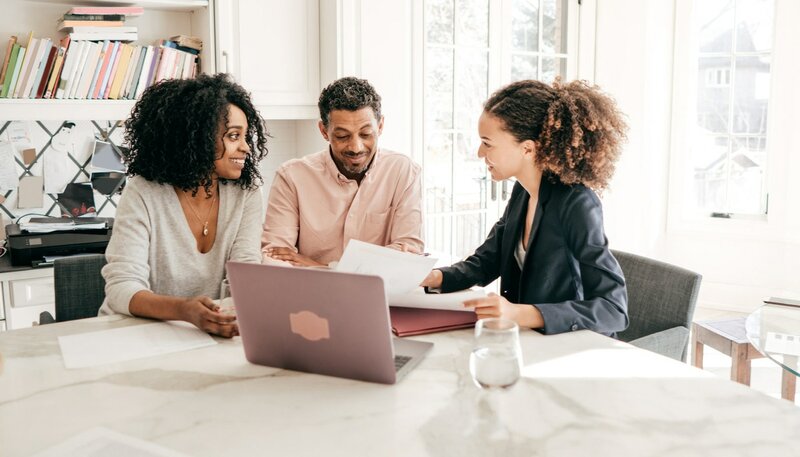 This guest post was provided by Debt MD ®, a free service that connects consumers with the professional help they need to become debt-free. Debt MD aims to make the path to financial freedom as quick, simple, and stress-free as possible. A good credit score is becoming more important. A good credit score illustrates to lenders that you are a responsible borrower. There are three major credit bureaus that report on your credit history and determine your credit score. The higher your credit score, the more you’ve established yourself as a responsible borrower. The higher your credit score the more likely it will be to receive favorable interest rates and loan terms. Did you know credit scores can be requested from other organizations outside of the financial industry? Credit scores not only illustrate responsibility as a borrower but provide a snapshot of how you handle finances. When you want to establish services like a phone, utilities, insurance, or even rent an apartment, providers look at your credit score. This allows them to choose whether they should allow you to obtain their service or not. Even employers are now looking at credit reports prior to hiring someone. Who Determines a Credit Score? What’s a three-digit number that can either make or break your financial deal? Yes, you got it right, it’s your credit score! There are several different types of credit scores generated using your credit report. So, in simplicity, you determine your credit score, since you control how you utilize your credit and finances. A credit report is just that a report on your credit history. It includes details regarding credit card payments, loan payments, and the status of each. Your Credit Score is then calculated using your credit report. Most commonly used is the FICO® score developed by the Fair Isaac Corporation. What Makes Up a Credit Score? The FICO® Score is the most widely used credit scoring model. In fact, according to Fair Isaac Corporation FICO® Scores are used in 90% of United States credit lending decisions. FICO® Scores are calculated using five main parts of your credit report. The FICO® Score utilizes amounts owed, new credit, length of credit history, payment, history, and credit mix to calculate your personal score. 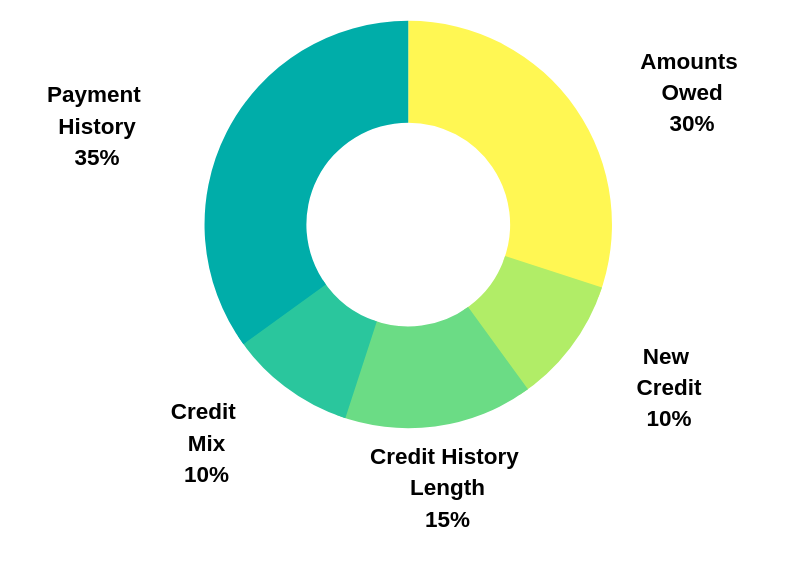 Each category represents a percentage as illustrated on the chart below, to create your full FICO® Score. What’s a Good Credit Score? We now know what a credit score is, what attributes to it, and the main type of credit score used throughout the lending industry, but what is a “good” credit score? Generally, FICO® Scores range from 300 to 850. Here is a look at the FICO® Score ranges and their equivalent rating. 300 to 579: Very Poor 580 to 669: Fair 670 to 739: Good 740 to 799: Very Good 800 to 850: Exceptional It is important to note that a “good” credit score cut-off will vary depending on the type of financial institution that you are dealing with. For instance, if you are applying for a mortgage loan, to qualify your score typically must fall between 700 and 759. To qualify for an auto loan your score would ideally be above 740, and to get the best rewards credit card you typically should have a score of 720. If you’re looking to refinance student loan debt you’ll likely be required to have a 650 credit score or higher. It’s important to recognize that lenders do not solely base their decision on credit scores. In addition to your credit score, lenders may look at your credit history, debt-to-income ratio, assets, and liabilities to determine if you’re a good risk or not. The higher your credit score the better, as it illustrates your reliability as a borrower hence presenting a lower risk to the organization. When a person has a higher credit score they likely will be presented better borrowing options due to their credit history. How To Find Your Credit Score? Checking your annual credit report regularly is one of the most important habits to develop. This is especially true if you want to improve your credit score. By verifying your credit record, you’ll be able to check for errors and discrepancies and dispute them when applicable. Checking your credit reports will also help you to recognize signs of identity theft, which is becoming more prevalent. You can get your credit report at no cost once every 12 months from each of the three widely recognized credit bureaus (Equifax ®, Experian ® and TransUnion ®) from AnnualCreditReport.com. It’s not practical to go to college and not have a job. With a number of non-traditional students commuting or even raising a family during school years, being employed is a must. Plus, even having a part-time job not related to your desired field can still prove that you have the skills it takes to manage your time, work as part of a team, and be reliable. Never underestimate the importance of these types of skills on your resume! With most students taking out student loans or aid, finding a college job can mean that you can reduce your student loans for college and pay some tuition or expenses with your current income. That said, there are some jobs for college students that are better than others. Here’s our take on what are the top jobs for college students and why. Nannying is a serious skill that not everyone has. 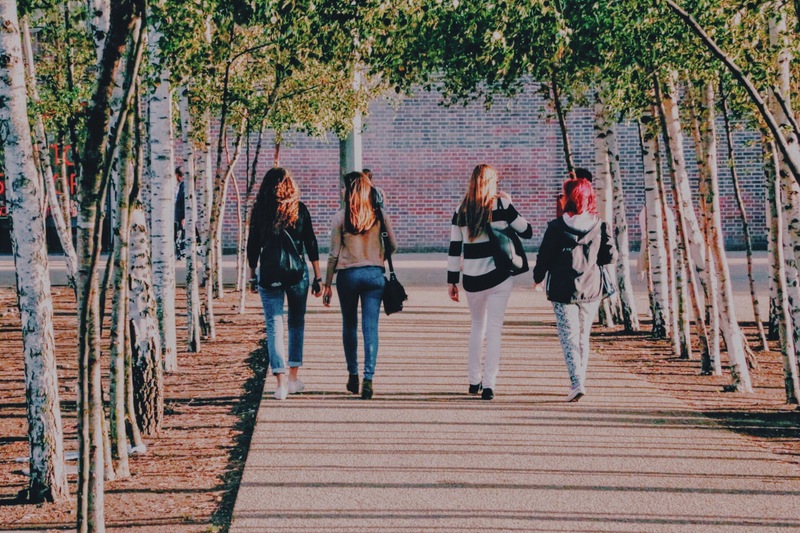 If you’re great with kids and can find a gig to match your availability, being a nanny means you’ll get paid well to spend your time helping a family raise cool kids into stellar adults. No longer the $3/hour that you got paid to watch neighborhood kids back in the day, the average nanny rate is $12–$13/hour. You could even get paid more if you have additional skills like foreign languages or child development knowledge. Nanny jobs can be a really great asset to students studying to be teachers. Nannying could be a great introduction to what you’ll be studying in school. Working in an office is usually not very glamorous, but there’s a reason why so many college students look for basic administrative work. Office environments can be nuanced and require you to learn certain types of etiquette on top of professional dress and demeanor. By working part-time in an office around your school schedule, you’ll learn things like phone skills, how to operate standard office equipment, basic computer skills (that you might already have, but it’s still nice to reinforce), and you’ll make connections with other professionals who can give you a reference later. Depending on the type of office you’re working in you may have the ability to gain some additional career skills. If your regular tasks are completed it’s likely you’ll get to learn some additional skills that could come in extra useful in the long-run. Anything in outreach or hospitality that exposes you to lots of people in your community is a great opportunity for a college student. Being the happy face of an organization means that you will build great people skills like patience and customer service. In addition, it’ll give you a chance to get to know other people or places you encounter. Did we mention networking? Do you best to network with as many people as possible. You never know when the relationships you’ve made will come in useful across your career and study journey. Helping out in a medical facility or institution is a top job for college students because you can usually land a good rate of pay during hours that fall outside when your classes are. Whether it’s nights, weekends, or after-hours, being an orderly requires you to use empathy and care for people who need help caring for themselves. It’s not for everyone, but if you’re passionate about helping people and want the simplicity of wearing scrubs every day while making about $12/hour, this might be your best bet. Of course, being a health unit clerk is a great first step for anyone looking to further their career in social work or a medical field. Some people actually joke that you should not become a bank teller in college because working at a bank can become so comfortable that you won’t want to leave! With opportunities for advancement, solid pay (about $12/hour), regular hours, and plenty of holidays off, being a bank teller is a pretty good job for a college student. You need to be detailed and good at math along with having the people skills of someone in reception or customer service. Tutoring is probably one of the best ways to earn money while in school if you have enough experience in one area of study and can help lower level students navigate their coursework. Tutoring is highly flexible and not limited to business hours, plus you can usually do it at school or at a library or home, and it has a higher hourly rate than many other jobs. 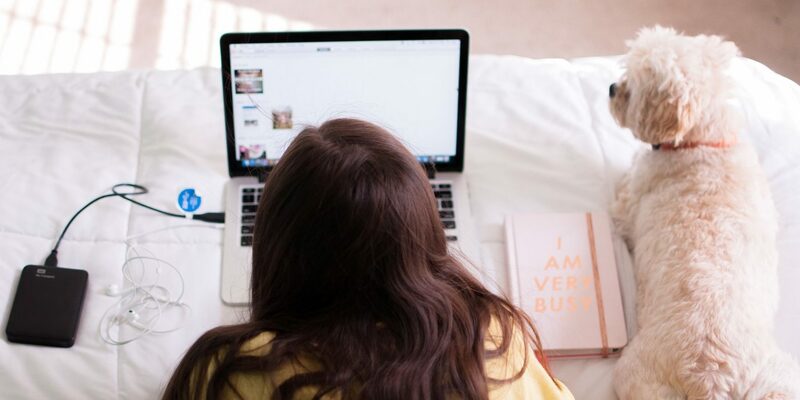 Tutors can easily make $20–$40/hour depending on the area of study, helping you make extra cash in less time and strengthening your own study skills while you’re at it. If you’re looking for ways to reduce your student loans for college, consider one of these top jobs for students so you can pay some of your expenses with your income! There are many options when it comes to paying student loans, and just as many questions! Questions like what these terms and situations can mean for a borrower. If you have questions about your student loans or want to learn more about how you can manage your repayment, check out these tips on understanding student loan payments. What is a student loan servicer? Your student loan servicer is the company collects your payments. According to Consumer Financial Protection Bureau, they typically handle most administrative task associated with your loan. Servicers do things like, answer customer service questions and enforce regulations provided by your lender related to your loan. You pay them for your loan and they give you options for repayment and deferment. It’s likely you’ll take out a student loan with one company and end up getting a different servicer. Your servicers can change too if your loan is transferred. If you choose to consolidate or refinance with a company that gives you lower payments, better interest, or quicker payoff you’ll probably receive a different servicer. When should you start making payments? Start making loan payments whenever you can. Most student loans allow a period of non-payment while you are in school, known as a grace period. On average most student loan lenders require payments to be made when the borrower is at less than half-time status for six months. You don’t have to wait until six months after graduating to make payments, though! If you can make payments while in school, you will save on interest and cut the time it takes you to pay off your student loans. What’s a student loan grace period? The grace period is typically a 6 month period that occurs after graduating, dropping below half-time enrollment status, or leaving school. During the grace period, you are not required to make payments on your student loans. Grace periods will vary based on the student loan lender that you have. Know what your grace period is so you aren’t caught off guard with late payments. Can I pay extra on my student loans? Yes! There are no prepayment penalties for federal or private student loans. Prepayment penalties are fees charged for reducing your loan balance or paying the entire loan off early. Many other types of debt like mortgages can have a prepayment penalty. Prepayment penalties were created to limit early payment of a debt, but no need to worry about that with your student loans. Instead, pay attention to how additional payments are applied to your loan. If you make payments online some loan servicers allow you either pay extra on the principal or apply the additional toward interest on the next payment. Basically, if you choose to pay over the minimum depending on who your lender is, you may need to specify the amount that is a prepayment. Prepayments on your loans go towards the principal balance. You should aim to make prepayments sometimes referred to as overpayments because it lowers the total amount of the loan. When the principal balance decreases it reduces the amount of interest you’ll pay in the long term. The next monthly payment will usually remain the same. Since you’re not applying additional money toward your next payment if you choose this option. Not all loan servicers will direct prepayments towards the principal of your loan unless specified by the borrower. Some lenders will count the prepayment as a payment towards your next monthly payment. That can make it seem like your extra payments are hardly affecting your balances at all. Instead, try to direct additional payments toward one loan’s principal. For example, if you have several loans through the same servicer, but one is $1,000, you can pay that off within a year. If you pay an extra $100 per month on that one $1,000 loan principal- it will be gone faster! If you’re not allocating prepayments strategically, you won’t see this same kind of progress. What if I can’t pay my student loans? There are limited options available when you can’t pay student loans. Weigh your options carefully. When making student loan decisions make sure you’re not adding stress to your future. First, contact your servicer immediately. You’ll have more flexibility if you stay on top of repayment before you start making late payments or missing payments. Avoid missing or late payments at all costs! Not only will late or missed payments damage your credit they put you at risk for extra fees. In addition to damaging your credit, risking additional fees, you could lose benefits available to only those who pay on time. Repayment Options (Not a Long Term Solution) Look at repayment options. If you can’t pay with the plan you’re currently on there may be a better repayment option. If you are able to select another repayment option that lowers your payment you will want to consider doing so temporarily. Doing this quickly will avoid you being late on future payments. It’s important to note that repayment plans are not a long-term solution to paying back student loan debt. We wouldn’t recommend for the long term because in more income contingent repayment plans the monthly payment isn’t covering the interest that is accruing during that period. Therefore, you can make a payment every month but the overall loan balance remains the same or could even increase! Consolidating Student Loans If you’re in good standing on your loans, but want to reduce your payments student loan consolidation might be a good idea. Consolidation can make it easier for you to manage paying all of your loans, open you up to other repayment options, and reduce fees. It’s not a sure thing, but it doesn’t hurt to investigate this option and see if it is right for you. Deferment or Forbearance: Use with caution! The last options to consider are deferment or forbearance. If you can avoid these options like changing repayment or consolidating, do it! Usually, borrowers have to be in financial hardship to qualify for deferment or forbearance. That doesn’t mean you’re off the hook because you’re in a tough financial spot. Depending on the loan you have, your interest might be added to the principal balance. This is really not ideal because it means your balances will grow. When you start paying again, your balances will be higher than where they are today. This is called capitalized interest—it equates to paying “interest on interest” and can get out of control fast if you use deferment or forbearance for longer-term hardship. Most people don’t qualify for loan forgiveness because they are having a hard time paying their loans, but be aware that is possible. If you have developed a disability that precludes you from using your education or went to a school that has since shut down you might be eligible for forgiveness. Don’t count on this as an option, and don’t delay if you can’t pay your loans. Start investigating what’s available to you as soon as possible. What are income-based repayment options for student loans? Private loans may have options available that will lower your payments if you have a lower income, but the standard income-driven repayment plans apply to federal loans. Your monthly loan payment is calculated on your income. Your income is based on some stipulations and it may be taken into account things like your family size. Income-Based Repayment The standard income-based repayment plan adjusts your payment if your loan payments are more than 10% of your discretionary income. Based on when you took out your loans, there may be other benefits or stipulations to meet in order to qualify. Regardless, you’ll have to calculate your loan payments based on your income and family size through your servicer. Income-Contingent Repayment This type of repayment limits payments to 20% of discretionary income. The income will be based on income and family size. It is the only option available to Parent PLUS loan borrowers and requires PLUS borrowers to consolidate their loans to qualify. Pay As You Earn and Revised Pay As You Earn There are limits on which form of this repayment plan you can qualify for. These qualifications are based on when you took out your loans. On the Pay, As You Earn plan you’ll have payments that correlate to 10% of discretionary income. The payment will be based on how much money you’re making and limiting the term of the loan to 20–25 years depending on whether you were a graduate or undergraduate borrower. How does refinancing change my student loan payments and payback? Refinancing opens you up to lots of different options. Some qualifications to refinance include illustrating a responsible credit history. People often look into refinancing when interest rates are high, they have a steady income and good credit. Refinancing could help borrowers qualify for lower interest rates. Sometimes people refinance in order to get new loan terms and pay off their loans sooner. Shortening the loan terms on your loan can help you to pay less interest over the life of the loan. Borrowers will refinance to a longer term that allows them to continue the loan payments for a similar or longer period of time. Financial experts run the gamut from tax preparers to CPAs who can help you with a business, to people who specialize in things like drafting wills or advising you for retirement. Finding the right financial advisor can seem like you’re dating again. With all the questions and long-term goals, you’re looking for in a match. How do you find the right type of expert, ask the right questions, and get the help you need? First, like in dating, you need to know what you’re looking for. Think about what you need and it will narrow your search. It’ll be easier to seek out a financial advisor once you have a title or type of business to seek out. With easier access to more information than ever before, reading up on topics is a piece of cake (and common) for most of us. What are you looking to do? Start searching based on your needs, so you can develop your own list. Create your own list of questions specific to the service you need. Next, ask around and look at websites, reviews, and recommendations from friends and family. There might already be a connection to someone—or many someones—in your network. Once you have an idea of what you want and the type of expert you’re looking for, consider asking these questions. Before you start talking to a financial pro, make sure you know what typical qualifications are. You don’t want to hire someone with the wrong education or training for what you need. According to the Bureau of Labor Statistics in the U.S. the education requirements are a bachelor’s degree. The certifications and licenses required will be dependent on what the advisor is working on. How much and what kind of experience do you have in this field? It’s not necessarily a deal-breaker to have a greener financial pro. It is recommended to know whether your CPA has done the type of accounting you need, or if you are a financial advisor’s very first client! Even if you’ve sought out a financial expert based on one need, it’s nice to know if they might be able to help you with further services down the road. Plus, websites aren’t always all-encompassing, so you might need some clarification before you start working together. What are your fees? What is your fee structure? Some experts take a percentage of the money you make, and others have services based on flat rates or monthly fees. Knowing how they get paid helps you understand what you’re paying for their services. Advisory HQ has a list of sample fee structures based on a recent report they created for financial advisors. The charts provided will give you an average reference as to what the typical costs are for management of assets and other financial management costs. What are the total fees? In addition to your contributions and the fees of your expert, there may be other fees you need to pay. For example, if you are advisor uses a mutual fund, there may be fees associated with that account that will be added to the advisor’s cost. Ask what your all-in costs are and be aware of how even small fees can affect your overall outcome. A fiduciary works in your best interest. They have both, ethical and legal duties to act in the best interest of the party to whom assets are being managed. For example, shareholders, lawyers, and guardians are fiduciaries. The biggest difference between fiduciaries and other financial advisors, fiduciaries cannot act on their own interest. They cannot benefit personally from the management of assets while other financial advisors can. What kinds of tools or guides do you have to help me? Many financial experts can offer specialized tools or calculators. These tools will help you understand the financial potential of their services. Ask if they have more information or collateral they can send home with you for your own research and learning. What services are available through your website or app? Many millennials prefer to do tasks digitally. We want the ability to check on accounts 24/7 on our phone or computer. Knowing if there is an app or website that is available and mobile friendly is helpful when picking an expert. How often should we meet or check in? What would our relationship be like? When you first start a retirement plan you might not see much growth or movement for quite a while. Therefore, it’s likely won’t need to interface much with your expert. Once you have hired a financial pro, don’t be afraid to ask them some questions. You should be comfortable or checking in whenever you’d like to get their perspective. You could set up a yearly call about investments for a more regular update. What kind of goals should I set? You and your financial expert will want to have a conversation about why you’re looking for this product or service and what you hope to get out of it. He or she will help you understand if your desires are on point for what they can offer. Finally, you want an expert who is a good fit. Some people have a special situation like owning their own business or freelancing. In that case, you’ll want a financial expert who understands your needs. You could want an advisor who cares more about educating clients versus someone who simply gives their opinion on what you should do. Beyond that, you might have preferences that would be important to talk about during an interview. Many millennials have strong feelings about what causes to support. Did you know you can ask a financial advisor to ensure that your investments aren’t doing anything you wouldn’t agree with? For example, you can have a financial advisor invest in companies that are known for being socially or environmentally responsible only. You can also avoid investments that include controversial companies or those with values you don’t agree with. It’s okay to shop around and find someone whose personality or experience fits best with you! It isn’t always a guaranteed marriage, but you have to start somewhere. People have all kinds of amazing hopes and dreams for what to do with their lives. From those passionate about teaching and making a difference to talented analysts who want to help steer the ship. There are so many incredible careers to choose from, but once you pick the path it’s time to think about school. How do you make that dream of going to school a reality? Financing an education can be challenging, but there are options and ways, even if you don’t have a nest egg for tuition. One option that is worth looking into is finding scholarships to save you money on student loans for college. Have you checked out what’s available? Here are some things to consider in your search. Look for scholarships based on need. All types of people from all different backgrounds go to college, but some are at a disadvantage when it comes time to pay for school. For instance, some students can’t get student loans for college if they don’t have co-signers but might qualify for federal loan programs that don’t have the same requirements. Some scholarships aim to help these people specifically—like people who are more likely to need aid because they’re non-traditional students with children or over a certain age, or they are the first generation in their family to attend a university. There are also options for students who have been on other government aid programs as children or teenagers in a low-income family. What kind of scholarship fits your abilities? Lots of people receive scholarships for any number of abilities—either because they are gifted academically or because they excel at a sport or activity. Talk to your school counselor or other college resources about your grades and test scores. It might be worth it to retake something like the SAT if you are pretty close to qualifying for academic scholarships. If you’re just starting to look at scholarships, now probably isn’t the time to become a master volleyball player or flutist, but scholarships for activities like those do exist! So if you are looking for ways to save money on student loans for college by getting a scholarship, don’t forget to search based on your extracurricular. Here are some common scholarship types provided based on extracurricular. If you or your parents are members of a fraternal organization, church/denomination, or if you work in a particular industry you may qualify for a scholarship. Some companies even offer scholarships to employee families. If you were a member of an applicable student group in high school, then you may qualify for a scholarship based on this. There are even scholarships for people who have survived cancer. Talk to your parents and other family members about memberships you may not be aware of! In an increasingly competitive market, employers are doing more to find and retain top talent. Do you work for a company that offers scholarships? Check out this list of companies that offer scholarships. Everywhere from fast food restaurants and service jobs to large corporations offer financial aid and scholarships to their employees. If you’re not sure, talk to your HR person and see if you qualify. It’s worth a try! Get the scoop on where to search. School counselors are the first place to check for scholarship opportunities. You might be able to apply for a local scholarship from a company in your region through your high school, or your college or university of choice might have scholarships for attendees. You can also take your search to the Internet and look for ideas, search based on your specific requirements or areas of interest, and get information on how to apply. Check out this scholarship search tool from the Department of Education. If you’re looking to save money on student loans for college, make sure that you check for scholarship opportunities every semester. Student loans can be a great tool and easily manageable if you’re informed, so don’t be afraid to ask questions and check out all of your options. Do your best to decrease the amount you need to take out in student loans to pay for college. 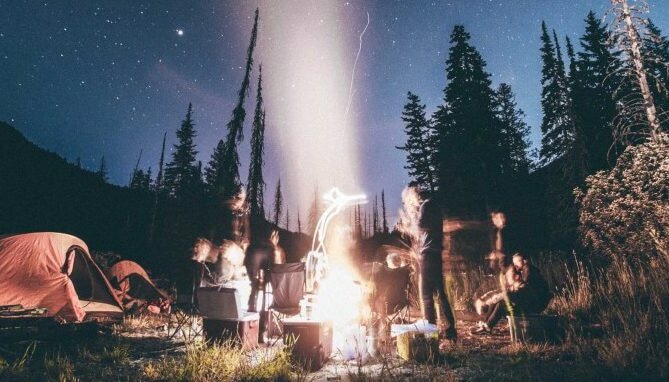 Unless you’re on a desert island somewhere, it’s likely you’ve heard of the F.I.R.E movement. If you haven’t Gilligan, the F.I.R.E movement stands for “Financial Independence, Retire Early.” Basically, it’s a movement started in which many finance savvy people increase their savings in hopes of retiring early and living their best life. Sounds great right? It may sound great but there are really only two ways to participate in F.I.R.E and that is increasing your income level or increasing your savings. So, how does the Financial Independence Retire Early movement relate to lifestyle creep? Lifestyle creep might be a term you haven’t heard before, but you’ve probably experienced it or witnessed it. As your discretionary income goes up, your lifestyle becomes more expensive. It’s that train of thought that can really get you in trouble with your bank account. You know the thought, the good ole “I worked really hard this week I deserve a new purse.” That is where lifestyle creep really starts. If you suffer from lifestyle creep you’ve probably also thought of things like. If you can afford a better car, why not drive a better car? If you can afford an apartment without roommates, why have roommates? So, what’s wrong with these thoughts, because if you can afford it, then you should do it, right? It’s a really delicate balance when income goes up and you feel entitled to nicer things. Suddenly the ability to afford something makes your current situation or current belongings seem like they are not enough, whereas they were just fine yesterday. This is a nightmare for most people involved in the F.I.R.E Movement. So when does it make sense to increase your budget based on higher income and when should you hold off? Here are some things to keep in mind that will keep you away from lifestyle creep and keeping you in the race of Financially Independent Retire Early movement. To pay yourself means to invest in yourself—specifically, your future self (oh hey, F.I.R.E). Increase your contributions to your retirement when your income increases. If you get a raise every year, set a reminder or put your retirement contribution on autopilot to also increase by 1% (or whatever amount works for you). If aiming to be in the F.I.R.E movement you may want to contribute over 1%. This is how people end up “maxing out” retirement contributions, without ever feeling like they are taking a hit in the present to save up for the future. Just ask anyone who’s ever done so. They’ll tell you it may have been the hardest thing they have ever done at the time, but their future self was really grateful! Look at the big picture. If you get a job offer and will suddenly make 40% more, but your commute will be long, does it make sense to move closer to work if your residence will also cost more? That depends on the big picture. Maybe the amount of time you’ll lose to commuting is worth more than the higher rent or mortgage? Maybe, you will be able to get a house in a better school district, which fits with your long-term plans? If the commute is farther with a lower mortgage, and you can pay down debt or increase your savings. You need to run the numbers. Check out our below examples of two different scenarios that we estimated. Please note that these are estimated costs. For example, let’s say that you work in Manhattan, New York… You currently live in Blairstown, NJ and live rent-free thanks to Mom and Dad. Your commute to NY takes 4 hours by bus and costs about $400 a month. If you pay $400 x 12 months = $4,800 a year spent on commuting In 2019 there are about 250 Business days (excluding public holidays and weekends) 250 business days x 4 hours = 1,000 hours a year you spend commuting. Let’s say that you move to Hoboken and have a roommate. You pay $1,000 a month on rent. Your commute is about 1 hour a day. Let’s say it costs about $150 a month to commute. $1,000 a month x 12 months = $12,000 a year on rent $150 x 12months = $1,800 a year on commuting costs $12,000 year rent + $1,800 year commuting = $13,800 a year on commuting and housing 1 hour x 250 business days = 250 hours a year spent commuting Now, this example really gives insight into that big picture. Yes, it costs more to live in Hoboken and you have a roommate, but look at that time saved! If your time is of high value to you, Scenario #2 is likely the best choice for you. If you are participating in F.I.R.E and want to save money or pay down debt as much as possible, Scenario #1 is likely the right choice for you. Regardless, which option is personally best for you, understand these are the types of numbers to run when looking to make big decisions. Do I need this or do I just want it? The treat yo’ self trap. Let’s say your discretionary income goes up, should you get that household repair or a non-urgent medical procedure? By all means, this is not an example of lifestyle creep and you should use your higher income to make it happen. Now, if you find yourself flush with cash and jealous of your neighbor’s new car, you should pause. If you believe that you have worked hard enough to deserve a big trip. Planning a vacation just because you can, is an example of lifestyle creep. We aren’t saying you don’t deserve a vacation, but that vacation should be planned on a responsible budget. When making any purchasing decisions ask yourself, “Are these wants more important than other needs?” We’d recommend thinking long-term when it comes to making purchasing decisions. What’s more responsible, paying off debt and continue reaping the reward of not having high payments or added interest or making a purchase like a car that you don’t “need”? Maybe there is a compromise like paying off your current car and setting a goal to upgrade next year, or maybe you can plan a trip for next year and save for it while you are concurrently paying down debt. It’s dangerous to deserve better. We are constantly bombarded with flashy advertising, slick marketing, and more choices than ever before. It can be really easy to think that you deserve something better, but in reality, is that new item really going to bring you long term happiness and security? Many participating in the F.I.R.E movement will say items are just items and that real happiness comes from relationships and memories. The F.I.R.E mindset can get even tougher when many of us have had parents who treated us like the most special people ever who gave us what we wanted. That’s not a bad thing until you start making decisions based on what you think you deserve, instead of what you can practically achieve. Thanks, Mom and Dad, but I don’t mind having roommates for another year, or it’s not a big deal to keep driving a car that’s older but works fine. If your discretionary income has gone up either because you got a raise or other costs went down, you need to do some budgeting. Typical steps that personal finance experts advise working on include getting up-to-date on all of your bills if you aren’t already. Second, have a $1,000 emergency fund. Lastly, experts advise people to focus on high-interest debts before building a savings account with 3–6 months of expenses in it. Then look into things like investing, saving for your children’s college or paying off your house! Achieving a higher income is great! It’s a wonderful feeling when you see your hard work paying off and making life easier. Don’t end up being someone who makes more than enough to live comfortably but you’re still living paycheck to paycheck. Lifestyle creep is so important to recognize and avoid. Keep your financial goals in order and continue to work towards them. Whether your goal is to be Financially Independent and Retire Early or to pay off your debt, you got this! It’s that time of year when we’re all reflecting on who we are and how far we’ve come in the last year. Some people hate on resolutions because they are so often temporary, but there’s nothing stupid about trying to make positive changes in your life! Two of the most common changes are losing weight and saving money. Why not do both? Here are some of our tips on how to lose weight on a budget. Have you penciled yourself in? Put yourself on the calendar and stick to it. 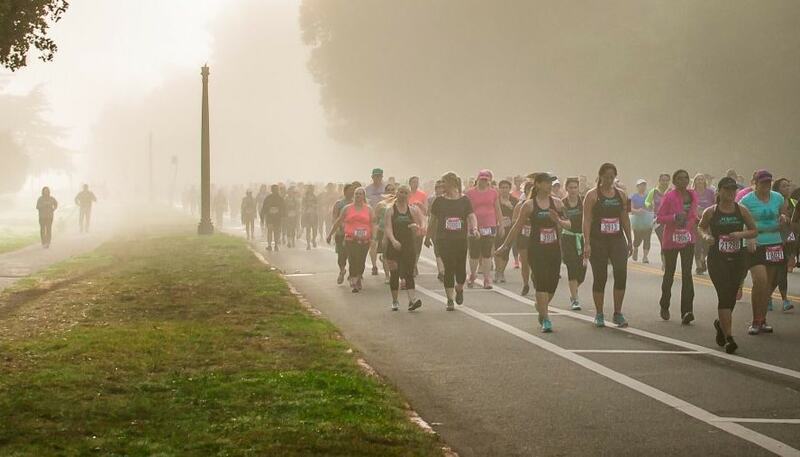 It’s easy to skip a workout when you already scheduled a meeting or made other plans. Making YOU part of your routine means that self-care becomes a habit. It can even be something you look forward to liking spin class or joining a workout group? Try working out with friends as it will help to hold you accountable. How much does success cost? Things like a celebratory meal, your weekly social brunch, or getting a gym membership cost money. That doesn’t mean you can’t budget for them. Just set a goal for how much to spend on those meals out. Make sure you track those little extras and cut yourself off when you’ve reached your monthly limit. If you’re faced with an important celebration, see where you can cut something else to keep your budget balanced. If you want to put a gym membership into your budget, look for places like community centers and colleges. They will often sell much cheaper memberships that are just as good as what you’d use as a more expensive fitness club. If you live in a household with multiple people, try looking into fitness family plans. Fitness family plans can come in especially helpful when you have little ones. Facilities will usually offer discounted classes and free daycare for your kids. There are sneaky calories on every menu. We’re a generation of Googlers—use it! Thanks to the wonders of the internet, there are so many free resources for fitness. From to blogs with the best bodyweight exercises, free exercise plans are everywhere. You don’t need a fancy gym to get in shape, but you do have to be motivated. If you’re on your phone regularly anyway, follow some of your fave fitness Instagram accounts like Ebonny Fowler (@funwithfit) or Marie Purvis (@MariePurvis) to get simple, effective workouts delivered right to your IG feed. Or look for other fitness gurus who focus on how to stay fit without having to sell you something. If you know that a big slice of pie (pizza or otherwise) is your weakness, look for ways to enjoy your favorite foods without tanking your calorie budget or emptying your wallet. For instance, you can make inexpensive pita pizzas at home using whole wheat pitas, low-sugar sauce, and all your fave fresh veggies and herbs. If you eat mindlessly in front of the TV while you watch season 4 of The Office for the 200th time, pop some light popcorn to crunch instead of sitting down with a bag of greasy chips. Staying hydrated can help make you feel less hungry on top of promoting healthy digestion and ample energy levels. You don’t even need a fancy water bottle. Just make sure you’re regularly drinking a glass of water and you’ll reap the benefits. Mom was right about fresh air. Nobody says you have to become a bodybuilder to lose weight. Going outside to walk or ride your bike can be a great way to keep your weight in check, get the mental health boost, and feel connected to your community. Even better: find someone to go with you! Don’t forget about the benefits of biking or walking to work. Saving money on transportation while getting your heart rate up is an incredible way to tighten your budget and burn some calories. Plus, it’s worked right into your routine, so it won’t feel like exercise. Be kind to yourself and have patience. Thankfully we millennials are pretty good about self-care. We’re the first generation to really spotlight mental wellness as a really important part of your overall health. Mental wellness can suffer when you decide that you need a big change and try to overhaul all of your habits at once. Have some patience and realize that it’s not easy to change overnight. You’re still going to have some slip-ups, and you’re not going to experience a #TransformationTuesday overnight. Sure, physical health and financial health are important, but so is mental health. Make sure you’re not setting unrealistic expectations, and be sure to take rest days even when you’re hitting things hard at the gym. If losing weight is only part of your goal and you really want to look at how to save money, check out our student loan refinancing options. You can call us any time to talk to a specialist and see how we can help! © 2015-2019 Education Loan Finance from SouthEast Bank®. 104 N. Seven Oaks Dr., Knoxville, TN 37922. All rights reserved. Subject to credit approval. See Terms and Conditions. Note: Links to other websites are provided as a convenience only. A link does not imply SouthEast Bank’s sponsorship or approval of any other site. SouthEast Bank does not control the content of these sites. *Education Loan Finance is a nationwide student loan debt consolidation and refinance program offered by Tennessee based SouthEast Bank. ELFI is designed to assist borrowers through consolidating and refinancing loans into one single loan that effectively lowers your cost of education debt and/or makes repayment very simple. Subject to credit approval. See Terms & Conditions. Interest rates current as of 2/1/2019. The interest rate and monthly payment for a variable rate loan may increase after closing. Interest rates may be different from the rates shown above and will be based on the term of your loan, your financial history, and other factors, including your cosigner’s (if any) financial history. For example, a 10-year loan with a fixed rate of 6% would have 120 payments of $11.00 per $1,000 borrowed. Rates are subject to change.